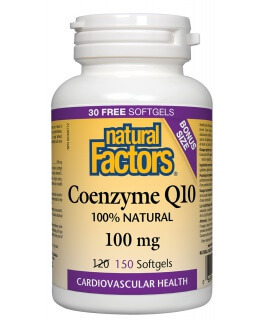 Coenzyme Q10 is a powerful antioxidant and essential nutrient that helps increase levels of cellular energy production and is required by every cell in our body. It is well known to support the cardiovascular system and cellular strength. 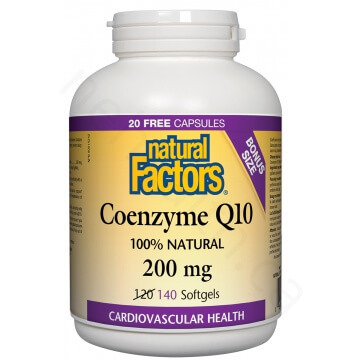 Natural Factors Coenzyme Q10 is 100% natural, consisting only of the trans isomer identical to the body’s own CoQ10 and is blended in a base of rice bran oil and vitamin E for enhanced absorption. What Are the Key Health Benefits Associated with Natural Factors CoQ10? CoQ10 is concentrated in the cardiovascular system and maintaining levels of this nutrient is an important part of heart health. In addition to its benefits for the heart, CoQ10 enhances immune system, kidney and liver function and provides antioxidant activity. 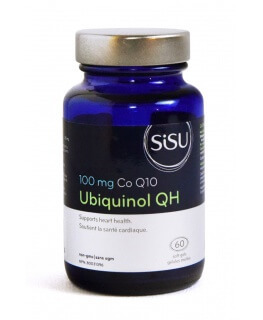 Also known as ubiquinone (a reference to its ubiquitous presence throughout the body), CoQ10 is a fat-soluble, vitamin-like substance that acts like a cellular spark plug by providing energy to all cells in our bodies. 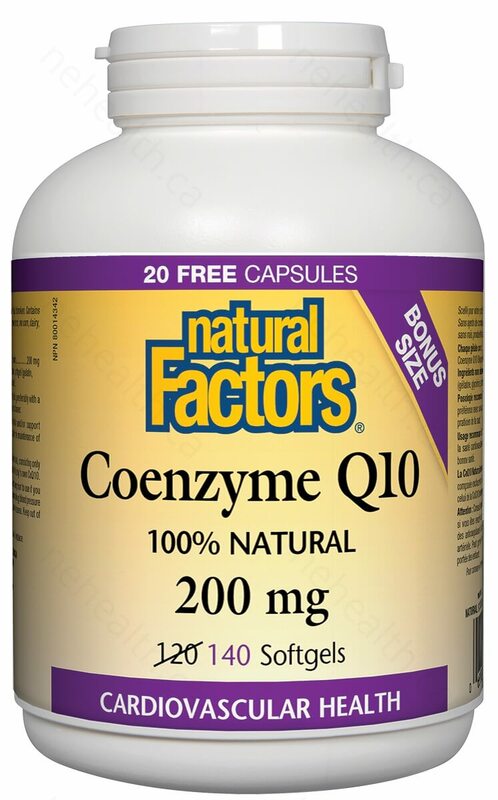 Natural Factors CoQ10 is manufactured through fermentation without the use of yeasts. CoQ10 levels decline with advancing age. People in their twenties and younger almost always have adequate levels of CoQ10, whereas deficiencies are common in people forty and beyond or those taking certain medications like statins. Statin-type cholesterol-lowering medications decrease the synthesis of CoQ10 in the body therefore it is important to supplement with CoQ10 while on these drugs. Adults: One capsule daily or as directed by a health practitioner.